July 4th is a holiday that welcomes mid-summer vacationers and invites individuals to take a slow-pause to hectic work schedules. Whether you prefer to celebrate independence in the center of a vast metropolis— with fireworks sparkling overhead— or cuddle quietly under a remote night sky, here are the top destinations to travel by private jet this 4th of July. 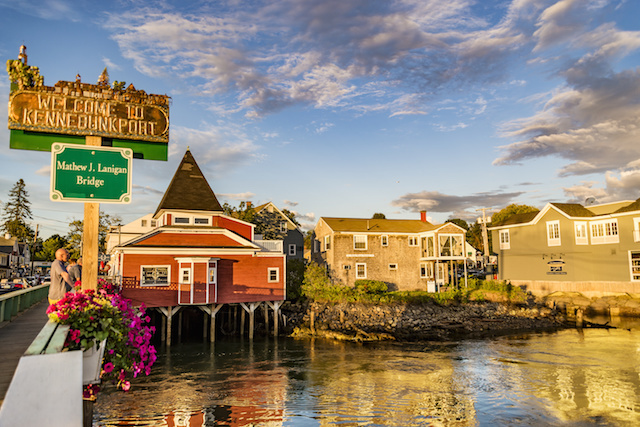 In summer the little coastal community, population 3,474, comes alive with summer activities and lobster bakes. 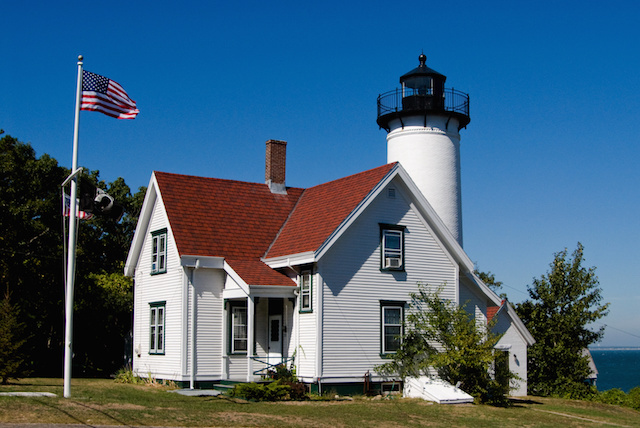 Kayaking, fishing, golf, tennis, museums, sailing, and long summer days make Maine an ideal way to kick-off a ‘Red, White, and Blue’ celebration. Private Jet charter flights to Kennebunkport use one of three airports. Private jets use Sanford Seacoast Regional (SFM)— a thirty minute drive— while smaller piston aircraft land at Biddeford Municipal (B19), a shorter nineteen minute drive. Chicago has everything that a summer vacationer could want; especially during 4th of July. The city claims that the Independence Holiday is the midwest metropolis’ biggest celebration. 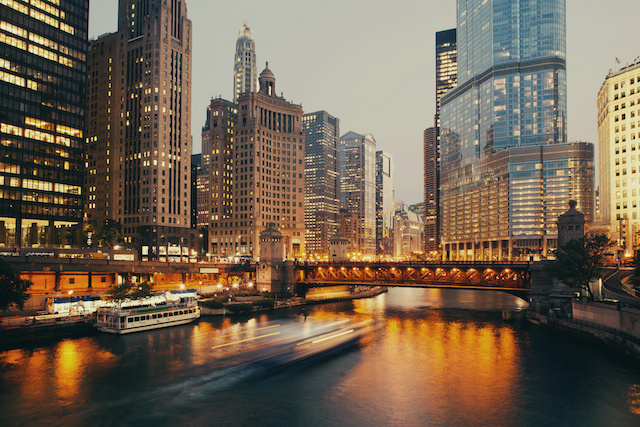 Chicago offers an endless array of options for locals and visitors alike, but during the first week of July, the city explodes in magic. Enjoy the fireworks over the Navy Pier, catch the spirit of baseball at a Cub’s game, or dine at one of the many Michelin starred restaurants found around ‘The Windy City.’ For private jet charters, Clay Lacy has aircraft in Chicago, minimizing charter costs and adding to travelers’ ultimate convenience. 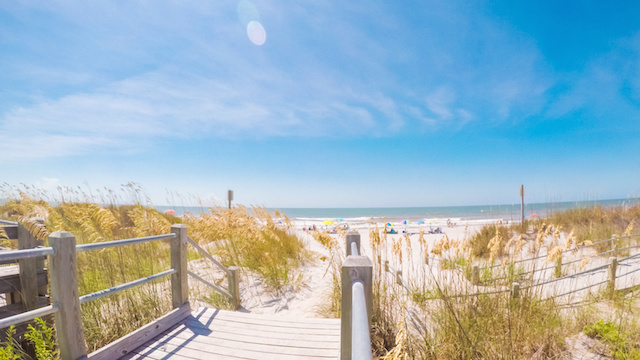 Great for families, Myrtle Beach is the destination where Southern beach vibes meet boardwalk fun. A world-famous golf-course, luxury beach rentals, spas and fine-dining create a summer escape to reminisce about for years to come; especially when arriving by private jet. There are an endless number of fun activities to experience when enjoying a fourth of July in Myrtle Beach. 5K runs, festivals and fireworks are a few of the ways to experience the best that this colorful holiday has to offer. Beautiful beaches, summer sunshine, an air of seclusion and exclusivity makes Martha’s Vineyard a popular private jet travel destination. During 4th of July, the community delights in the longstanding tradition of the Edgewater parade, fireworks, and barbecue. To arrive at the New England summer celebration, take a private jet charter that serves Martha’s Vineyard Airport, Nantucket or Cape Cod, among an endless array of preferred destinations. 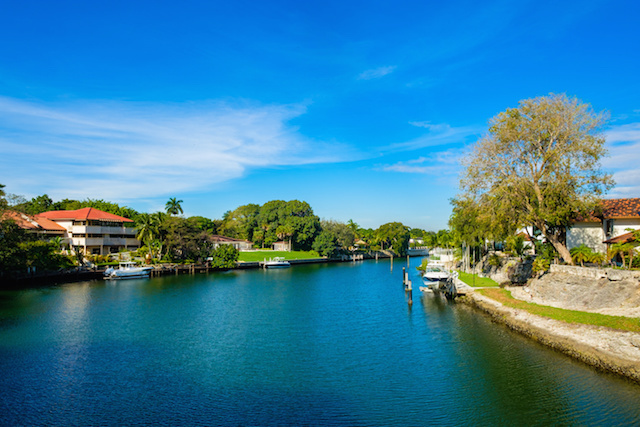 Miami, always hot like a Florida summer day for private jet guests, lights up Fourth of July with endless options for entertainment, dining, and activities. Coral Gables throws a soiree for the 4th that includes fireworks and an outdoor concert. For those interested in more of a quiet escape, Miami is the ideal gateway to the Bahamas, The Keys, BVIs, and any paradise you choose. Both Clay Lacy Aviation and Tradewinds Aviation offers 4th of July charter flight specials to the destinations mentioned, as well as many others. Interested in a private jet escape to one of the above destinations or have a dream trip in mind? Contact Clay Lacy today to book your private jet charter.